These exhibitors totalled 480 from 22 countries and regions (2016: 480, 26 countries and regions), including an 8% rise in overseas participants. The number of visits recorded a slight increase, totalling 13,203 from 55 countries and regions (2016: 13,085, 67 countries and regions). The next Cinte Techtextil China will take place in autumn 2020. 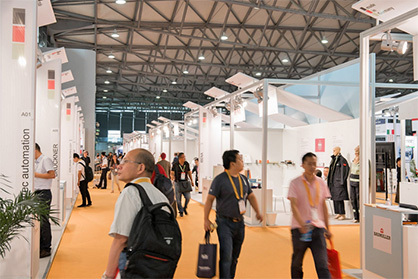 The next Messe Frankfurt fair in the technical textiles sector in China is the China International Nonwovens Expo & Forum (CINE, supported by Techtextil) which will be held in June 2019, also in Shanghai. Cinte Techtextil China is organised by Messe Frankfurt (HK) Ltd; the Sub-Council of Textile Industry, CCPIT; and the China Nonwovens & Industrial Textiles Association (CNITA). To find out more about the fair, please visit: www.techtextilchina.com. For more information about Messe Frankfurt’s worldwide textile fairs, please visit: www.texpertise-network.com.